Egypt travel advice: is it safe to go? As Egypt reels from the worst violence in decades, the nation’s vital tourism industry seems certain to suffer. Egyptian security officials are forcefully dispersing sit-ins, resulting in a spiralling toll in deaths and injuries, while the country is under emergency law until further notice. So what to do if you’re already booked to holiday there? The Foreign Office (FCO) currently advises against all but essential travel to the country, except for the Red Sea resorts, such as Sharm el-Sheikh and Dahab. Meanwhile, the Egyptian daily newspaper al Alhram reports that the ministry of state for antiquities has closed all archaeological sites and museums across Egypt. Britain’s biggest travel operator, Thomson and First Choice, states: “The majority of our customers are in Sharm el-Sheikh which is a considerable distance – indeed, an eight-hour drive – from Cairo. There have been no related incidents in Sharm el-Sheikh or any of the other popular Red Sea tourist areas.” Booking conditions for the resort destinations of Sharm el Sheikh, Marsa Alam, Taba and Hurghada remain “as normal”, with tourists flying into the resorts airports. The operator currently has 11,769 British tourists in Egypt. 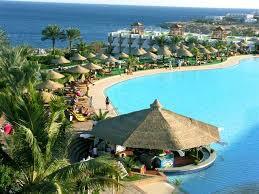 The vast majority of travellers heading to the Red Sea resorts fly there directly. EasyJet runs flights to Sharm el-Sheikh, which land outside of curfew hours. A spokesperson for the airline said the company can refund tickets that have already been booked, but added they haven’t seen any demand for this. Travel journalist Matthew Teller, who specialises in the Middle East, says that there is an inherent difficulty around travel advice in such cases. “What the FCO does or doesn’t say rules the roost in terms of what tour operators can and can’t offer clients.” Even if it doesn’t seem like you can do much while you’re there, major tour operators aren’t likely to let you change plans if you’re booked to travel to an area the FCO has deemed to be safe for travel. Meanwhile, cruise operators MSC, Costa and Holland America Line are all reported to have pulled their Egypt-bound ships. This latest crisis will be a sharp blow to the Egyptian tourism industry, which is struggling to recover in the turbulent period following the uprising of 2011, which deposed Hosni Mubarak. In 2010, a record 14m tourists arrived in Egypt and the industry represented 13% of GDP, directly or indirectly employing one in seven workers. But even before the recent crisis, the Egyptian tourism federation estimated hotel occupancy rates in Cairo to be around 15% while in Luxor – the site of the Valley of the Kings, that figure was barely in single digits. You are currently browsing the TOURIST LIFE TRAVEL & TOUR blog archives for August, 2013.